The Rosenborg Castle is over 400 years old! It was built as a summer residence for Christian IV in 1606 and reached its current form, after numerous expansions in 1624. It was built in the Dutch Renaissance style as exemplified by the symmetry of the building’s form and the orderly lintel protrusions (not to mention the systematic choice of brick colors and window locations). 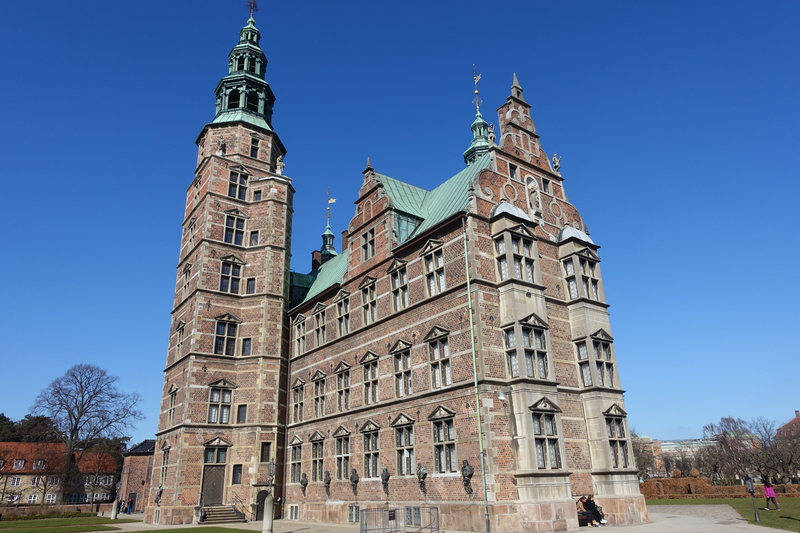 The interior has since been converted to a museum replicating the decor of the original rooms, including the King’s Bathroom, and showcasing tapestries commemorating battles between Sweden and Denmark. My favorite room of all was the Knight’s Hall! 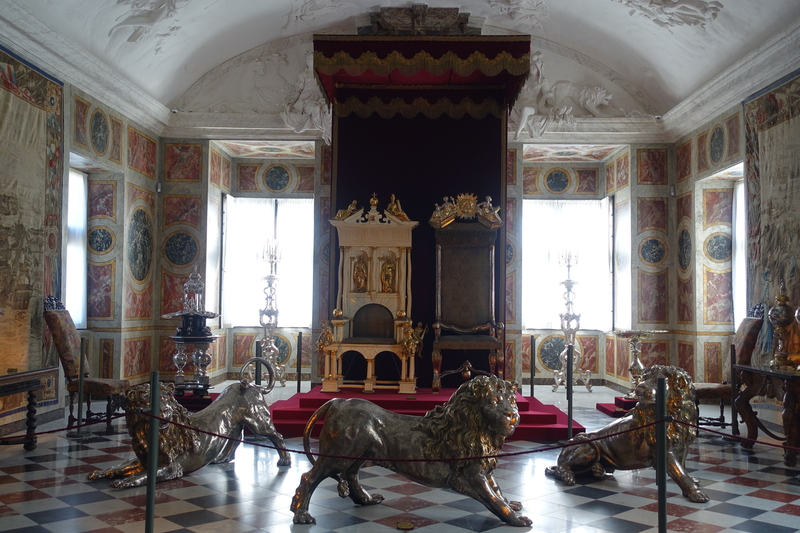 Even though it was originally intended to be a ballroom, it now houses the coronation thrones of the Kings and Queens of Denmark, whose seats of power are bravely protected by the three life-size silver lions standing guard. The detailing of each lion, and their facial features, was beyond exquisite! Vaults underneath the castle house the Crown Jewels. Just strolling through the collection made me reminisce about my younger dreams of becoming medieval royalty. 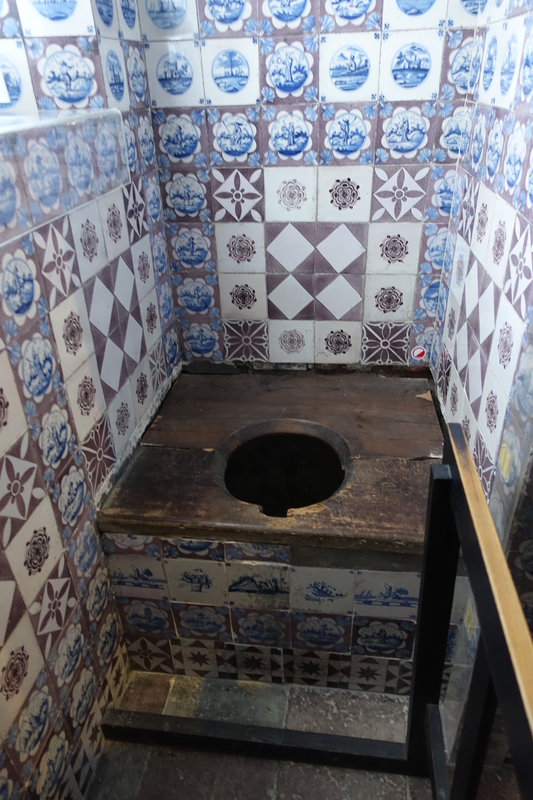 That is until I recalled the formerly mentioned Royal Bathroom. Hygienic ﻿conditions were not nearly as good as they are today! 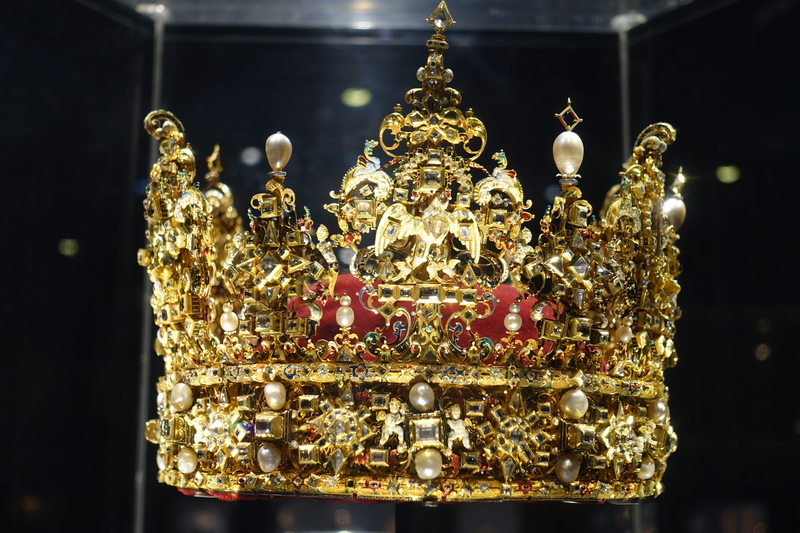 ﻿﻿﻿After visiting Rosenborg Castle we took a casual stroll over to the National Gallery of Denmark and perused the art collections for a bit before enjoying the afternoon sunshine.